Here’s another YWCA recipe, indicated by the ‘Y.W.’ notation in the top right-hand corner. Earlier on, I’d already blogged about the history of commercially-produced ice cream in Singapore since the 1920s, and posted grandma’s notes for ‘perfect vanilla ice cream‘, taken from McCall’s women’s magazine. 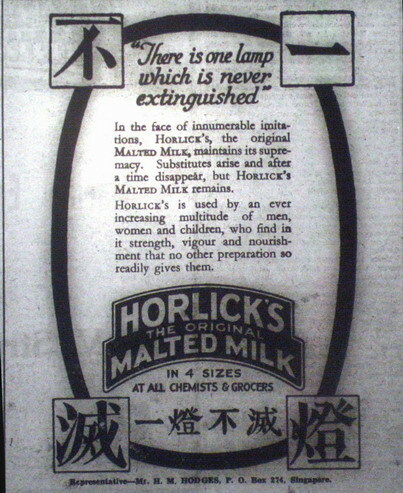 This idea for Horlicks ice cream seems really way ahead of its time. In recent years the ice cream parlour, Island Creamery, has gained legions of fans for its ice-cream in unusual local flavours such as teh tarik, chendol, Nutella and of course, Horlicks! 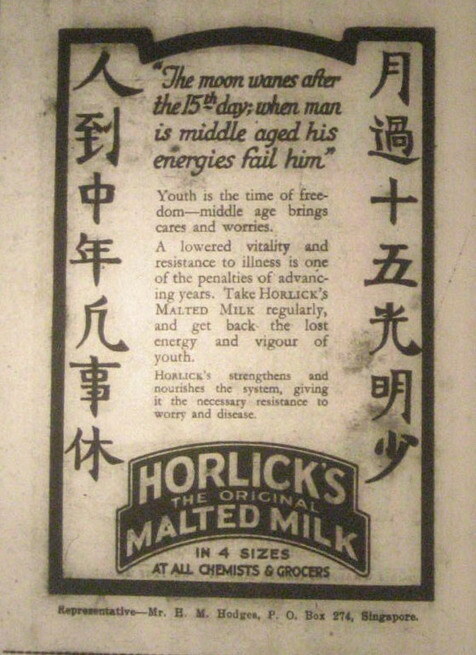 Horlicks is another one of the late 19th century industrial food products that became household names in colonial Singapore by the 1920s and 30s (read the history of Horlicks here). You might already have encountered on this blog condensed and evaporated milk, as well as vegetable shortenings like Spry and Crisco. These new food products were often promoted using new, scientific principles of health and sanitation at the time. 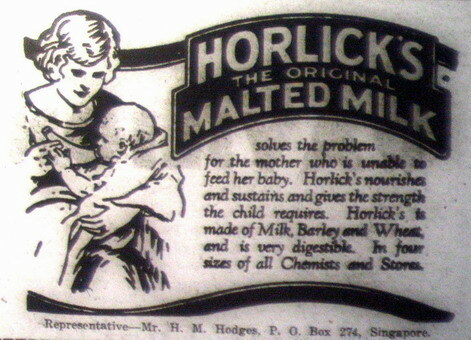 For example, in the early 1930s, the ‘Night Starvation’ theory was developed to promote Horlicks, and even now, Horlicks is branded as a sleeping aid. These might have been genuine claims but sometimes more due to the creativity of advertisers. Educating consumers on new food products was a serious business, as you can see from this collection of advertising cookbooks from America dating from 1878 to 1929. After all that excitement about Horlicks and Horlicks ice cream in particular, that isn’t all there is to this recipe, which is actually a strawberry parfait that happens to be made with Horlicks ice cream! Strawberries in tropical Singapore? Certainly during the 1950s/60s when grandma was using this recipe, because even in 1930, foreign fruits and vegetables were imported by Cold Storage as well as other companies. 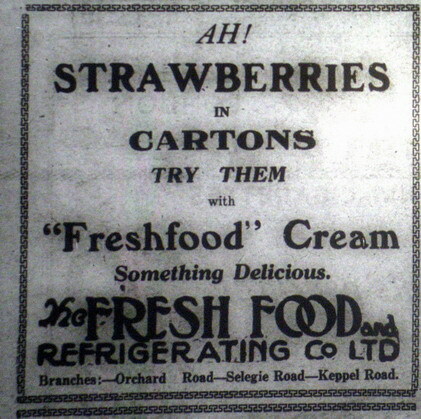 Here’s an advertisement from by The Fresh Food and Refrigeration Company promoting strawberries in cartons! The recipe doesn’t clearly say so, but parfaits are layered frozen desserts which are always served in tall, slim glasses (the word ‘parfait’ refers to both the dessert as well as the glassware it’s served in).